Lesley here. I am just popping in to share a trio of cards that I have made using the STAMPtember exclusive set ‘more than s’mores’. If you haven’t picked up this set yet, be sure to head over the Simon Says Stamp to grab it before it all sells out. It is only available for purchase over on the SSS shop, and once it’s gone, it’s gone. Also available with matching dies here. 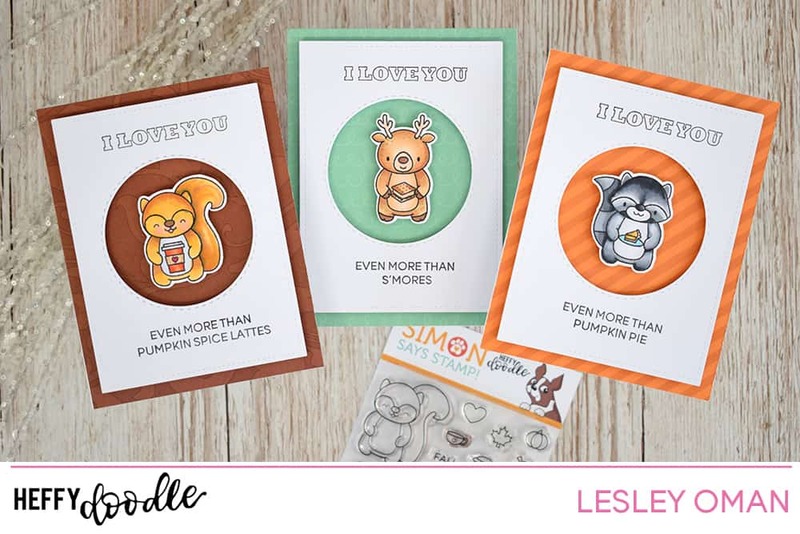 In this video tutorial, I give you an introduction to the ‘More Than S’mores’ set, and show you how to make a fun trio of cards using the cute critters, accessories and sentiments. It’s the perfect stamp set for the season as i’ve just enjoyed my first PSL of the year today! Enjoy, and don’t forget that you can watch in HD over on YouTube – and whilst you are there, hit subscribe so you can catch all our wonderful video tutorials! I LOVE these sweet cards. 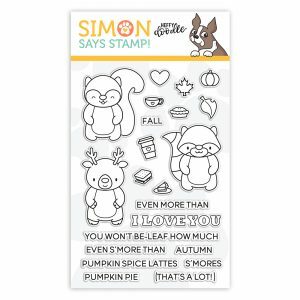 When I saw the STAMPtember challenge over at Simon Says Stamp, I went out and purchased my first every Heffy Doodle stamp set and made a card to enter the challenge. I love your stamps, the inspiration, and I look forward to visiting often. Keep up the great work with all the fabulous inspiration. Love me some Heffy Doodle! I am loving the stamp sets I see on this hop. Super adorable and such talented people. Thank you to the DT.